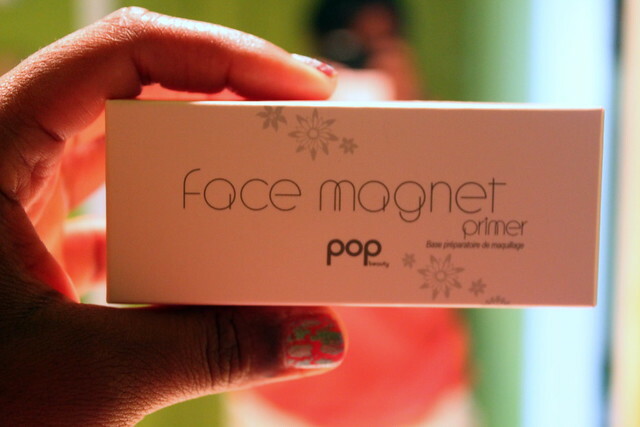 A few weeks ago the folks at POP Beauty sent me a few items for review and I decided to dive in first with the Face Magnet Primer. I’ve talked about primer a lot on this blog and I think it is the most essential item in your beauty bag. Because I think so highly of primer I was excited to try a new one, I only knew POP Beauty from their fantastic nail polish so I didn’t realize the line really extended as far as it does. The primer retails for $26 and you get a very decent sized tube for that price. It claims that it will, “firm, de-puff, and brighten skin while also creating an anti-shine velvety finish.” So I decided I’d put it to the test during DC’s hot and humid week. I worry about some primers since I’m brown and that they’ll create an ashy look to my skin. The primer is the consistency of a light lotion and smooths onto the skin easily and absorbed in nicely so that I didn’t have that blue tint like I slathered on sunscreen. I don’t tend to be puffy but I did feel like there was a firmness to my skin once I applied it and let it settle in before applying my foundation. My foundation did stay on all day and wore beautifully. I felt like my face had a nice canvas to apply my makeup too and I’d definitely purchase this primer next time I’m in Ulta or even on their website. 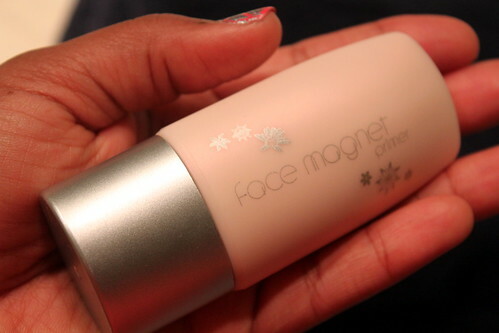 I’d definitely give this primer high marks and suggest you try it if you’re in the market for a primer. Seriously, primer is the best thing you can do for your skin next to sunscreen. 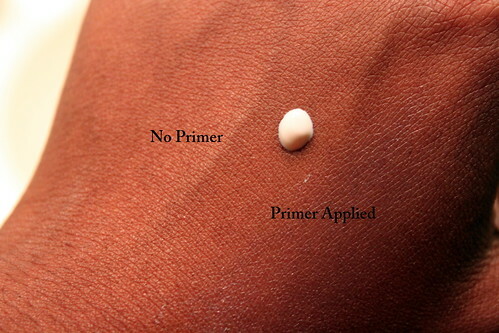 So do you use primer in your daily beauty routine? Have you tried any other POP Beauty products? I LOVE their nail polishes but I don’t think I even noticed anything beyond nail polish by them. I might have to check them out on my bi-weekly trip to Ulta! I’m in the market for a new primer, so I’ll have to check this one out. I agree with you that I’m always worried about primers looking ashy on the skin, which I’ve found with a couple of higher-priced lines. . I’d been using the L’Oreal Studio Secrets Magic Perfecting Base lately, but it began to feel a bit oily on my skin, so I’ve been looking for something else. Thanks for the review!